On Thursday, January 21st, the chapter will be hosting a great volunteer opportunity at North Side High School, one of our three SHPE Jr chapters. Noche de Ciencias, or Family Science Night, is a national initiative from SHPE to engage the Hispanic Community with science and engineering in order to promote college awareness in a bilingual setting. Noche de Ciencias will be hosted at North Side High School, a high Mexican-American student demographic in a low socioeconomic area of Fort Worth. The goal of Noche De Ciencias is to broaden the participation of Hispanics along all segments of the science and engineering pathway. 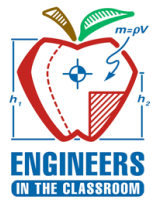 We need volunteers to assist with an engineering related activity, speed mentoring participants where the model enables students to talk to 8-10 different engineers in a short span, public speakers for parent workshops and volunteers willing to peer edit college resumes. Please contact Samantha Dominguez if you are interested in being a volunteer for any of the event activities.